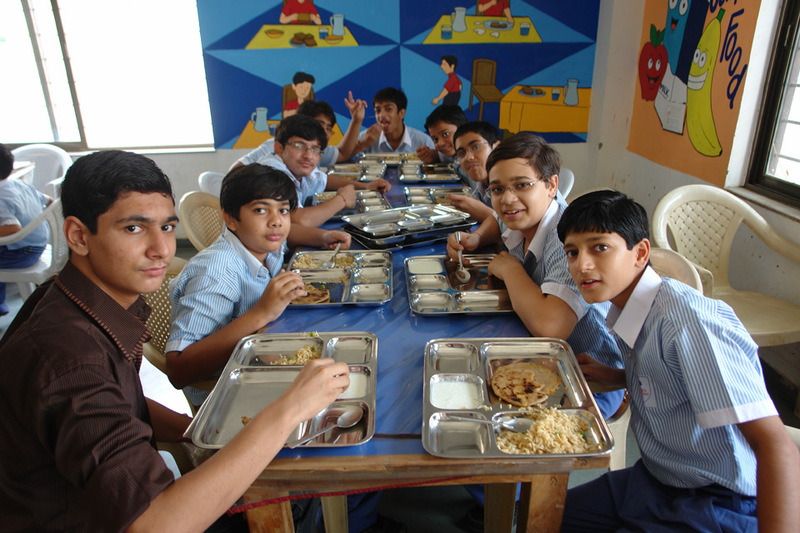 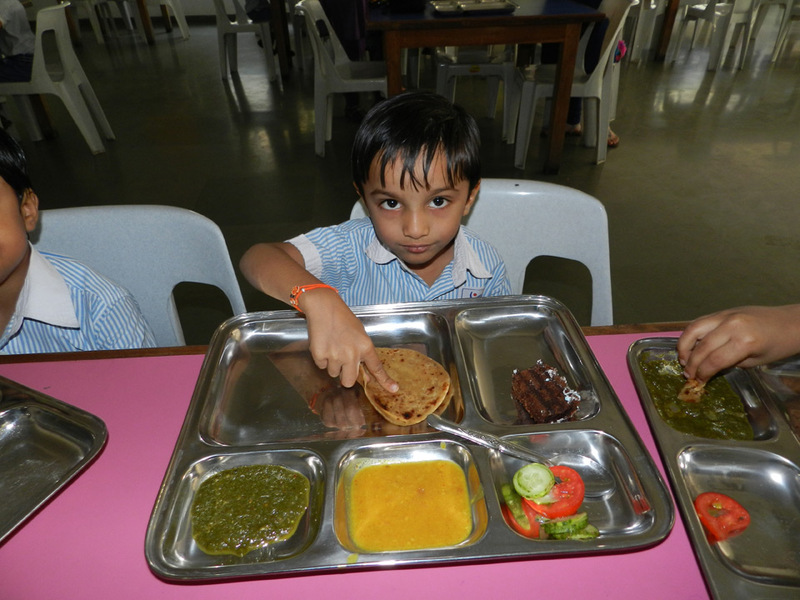 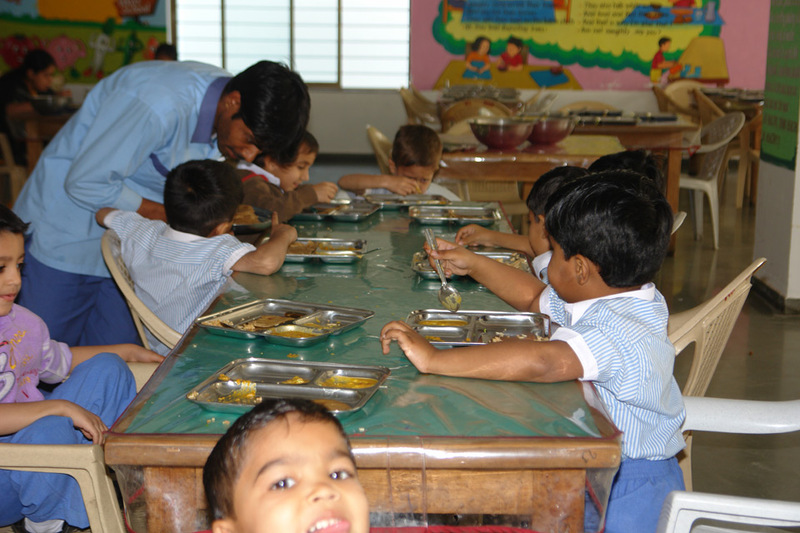 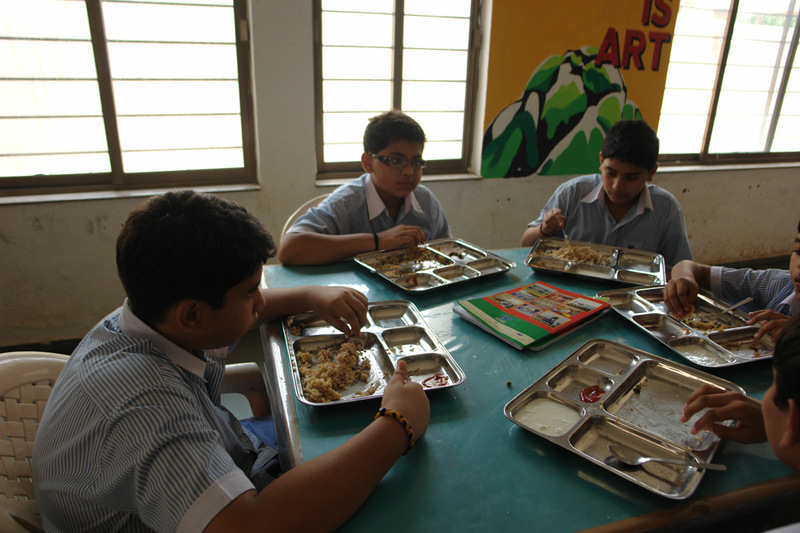 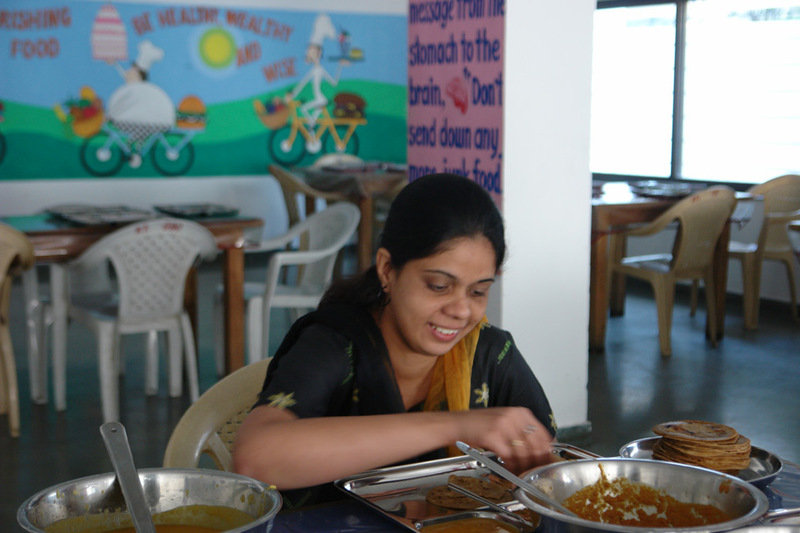 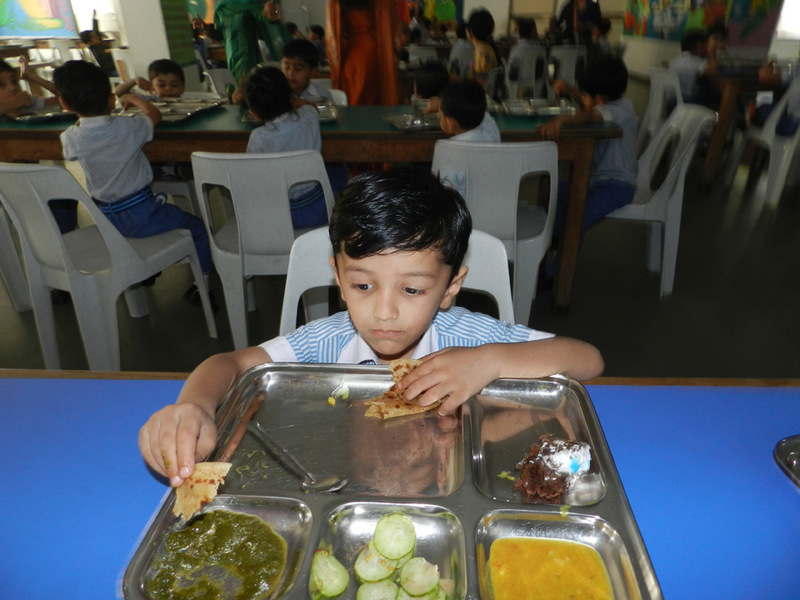 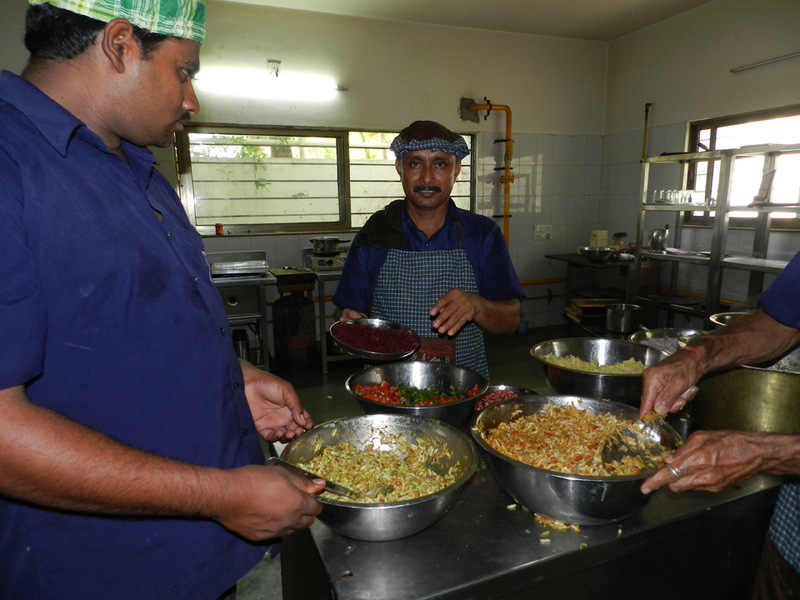 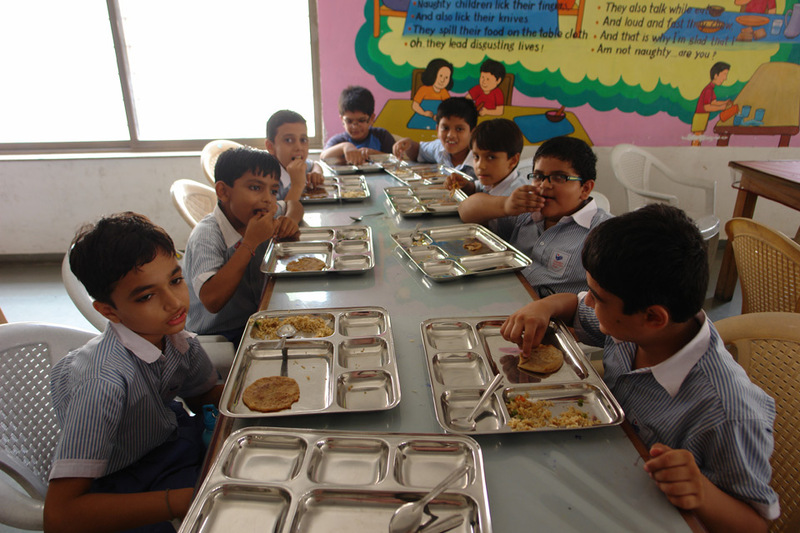 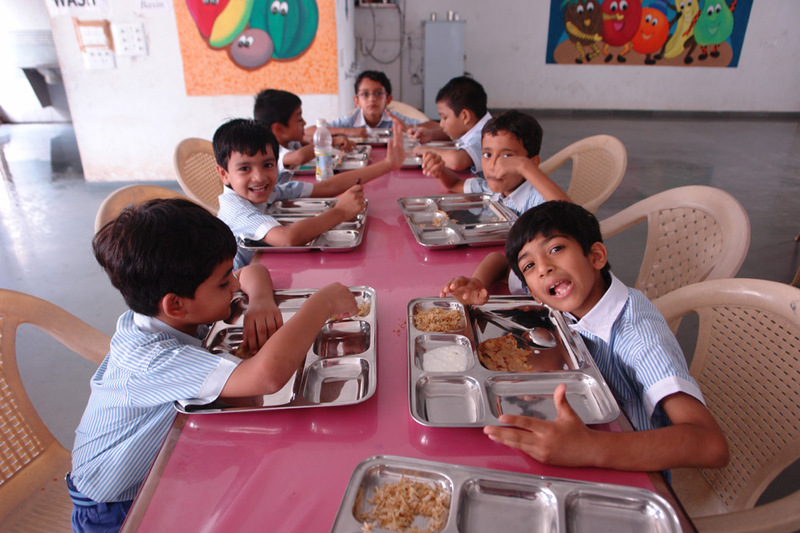 Sattva provides the children with a hygienic and clean dining area ‘Annapurna’ where all the students enjoy ‘The Happy Lunch Hours’ together. 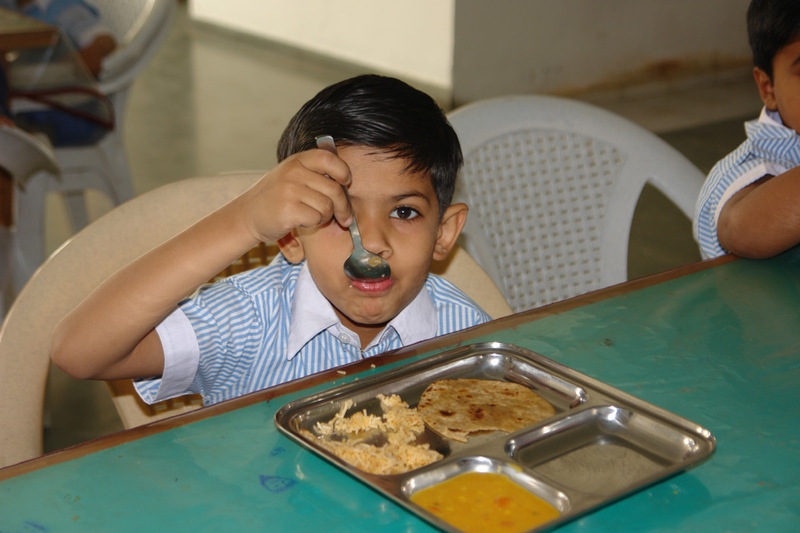 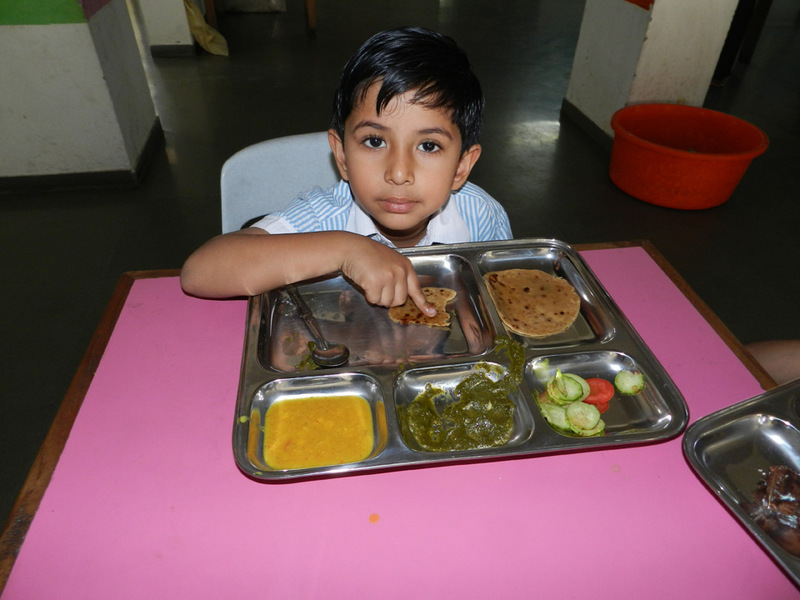 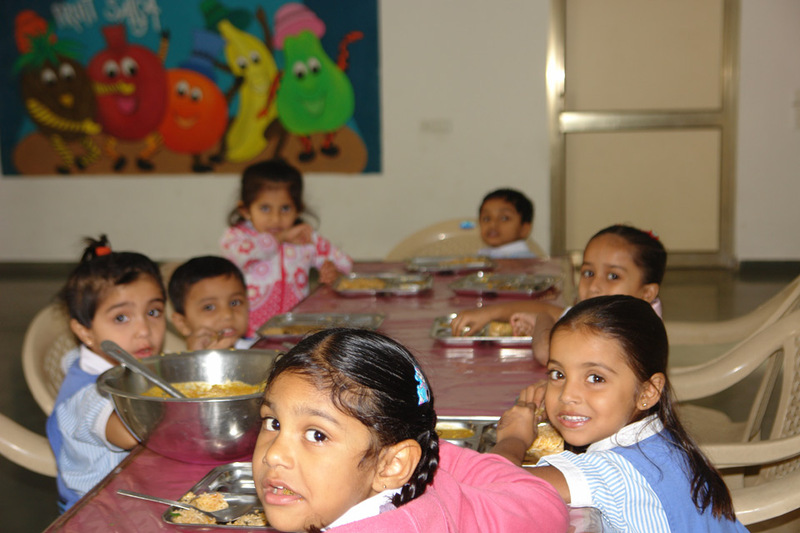 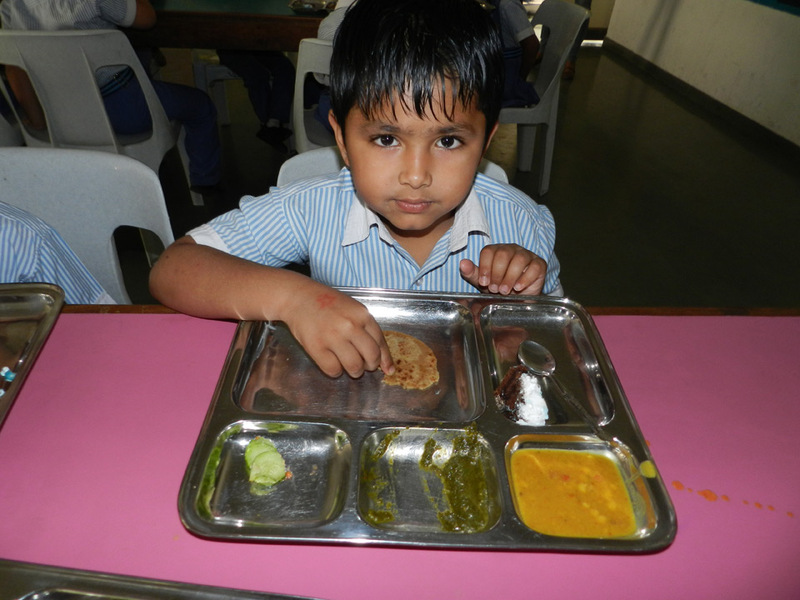 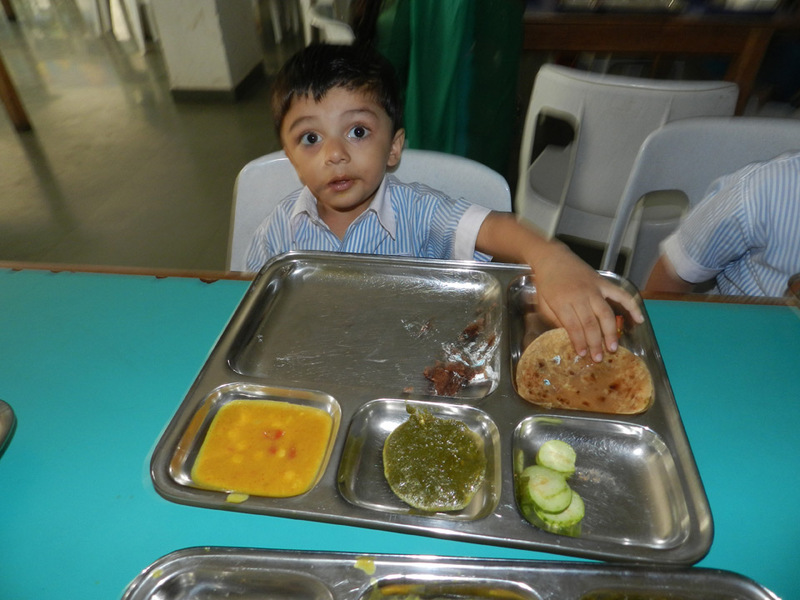 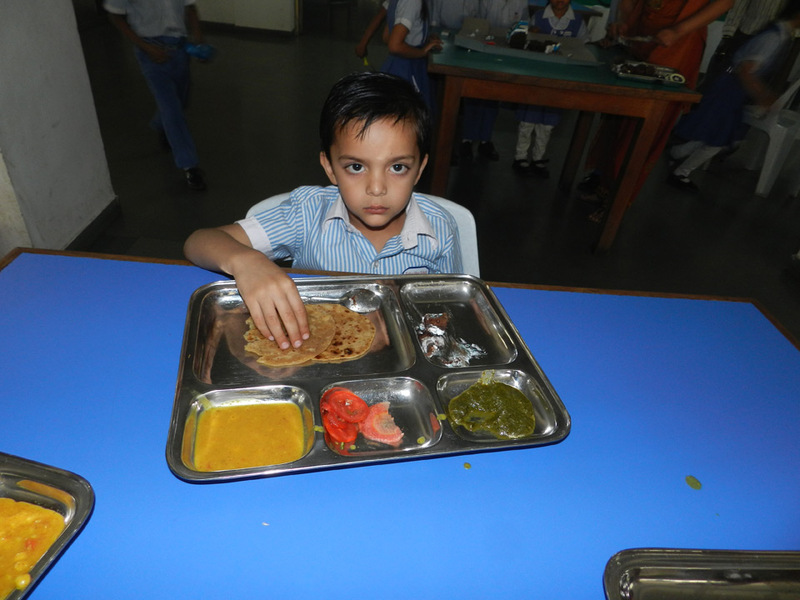 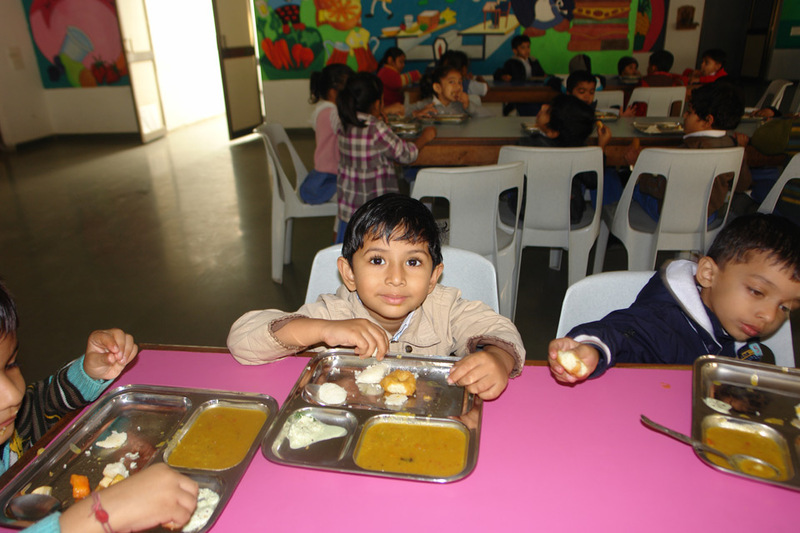 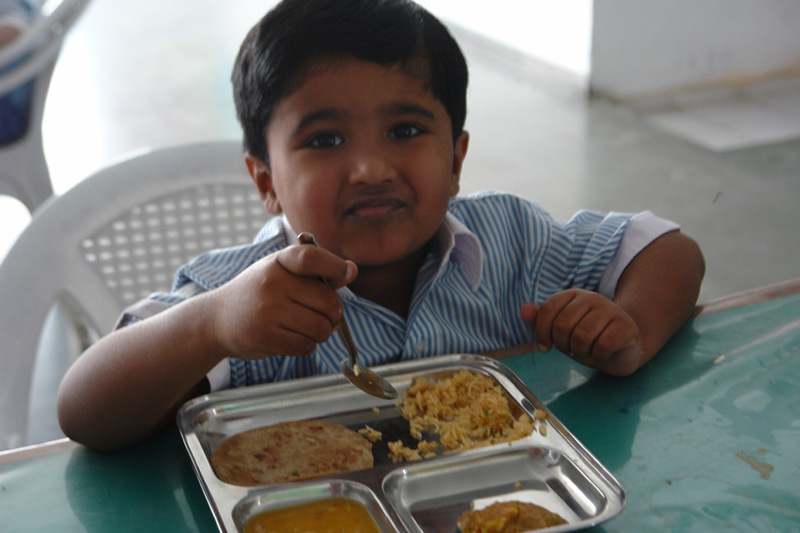 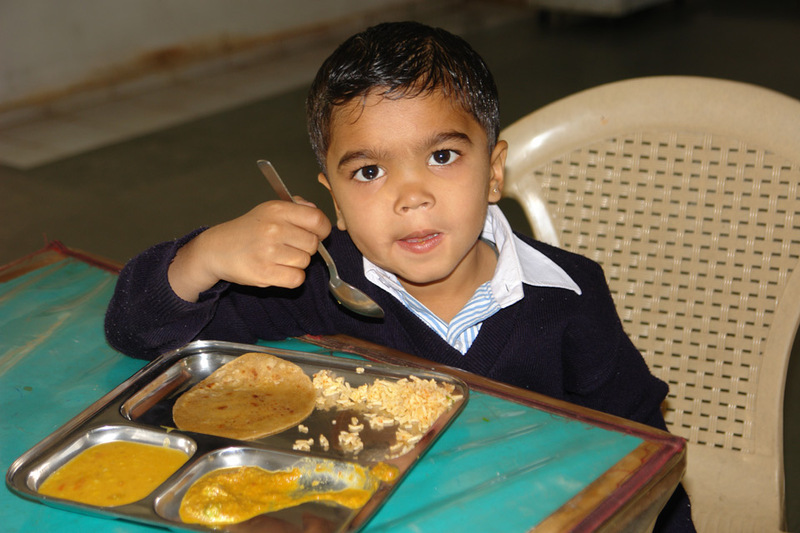 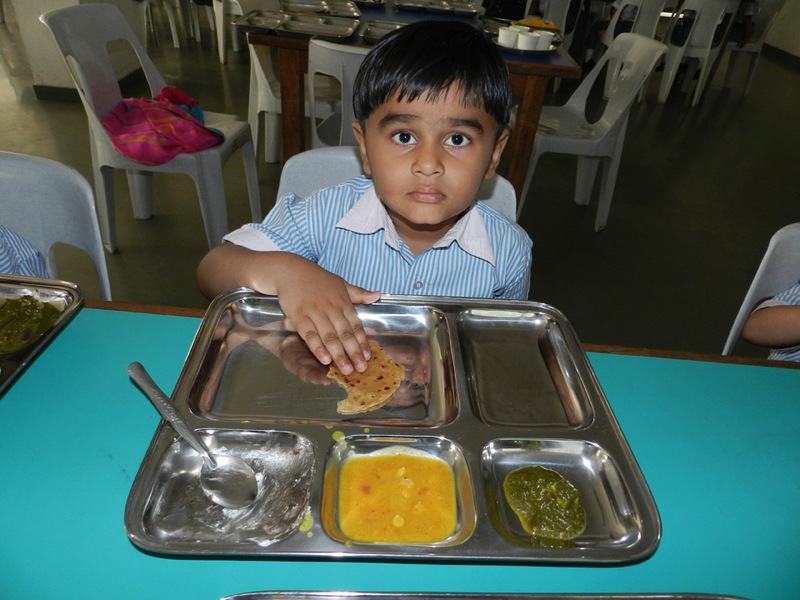 In a warm and caring environment children are nurtured with delicious and well-balanced lunch and a glass of milk, juice or shake depending on the season before leaving for home. 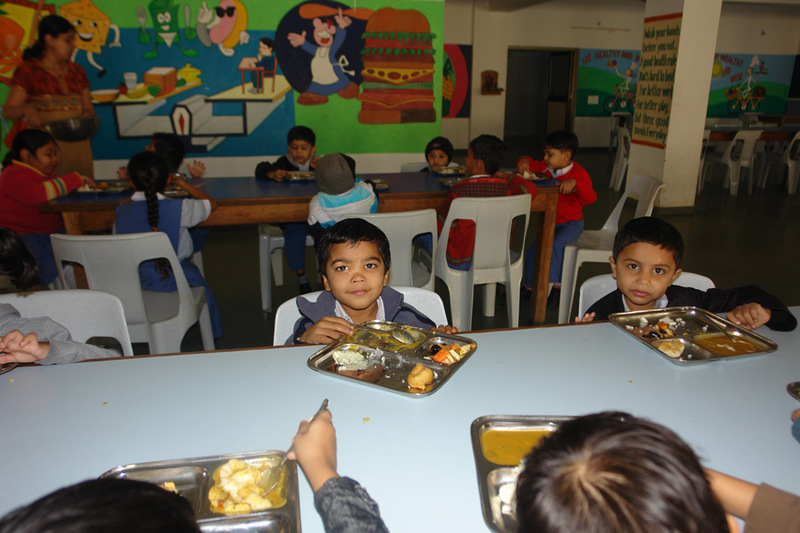 Our meal time assistants supervise the children and take special care to see that children eat with correct table-manners and etiquettes.